Liverpool may have to rethink their summer transfer plans amid reports from Don Balon that Barcelona are determined to keep hold of goalkeeper Marc-Andre ter Stegen. The Spanish publication claims that the La Liga leaders are willing to offer Ter Stegen more money and the promise of more first-team football to keep him at the Camp Nou. As the Daily Star reports, we have been heavily linked with the German as a possible solution to our goalkeeping dilemma, with Simon Mignolet’s status as number one in doubt. 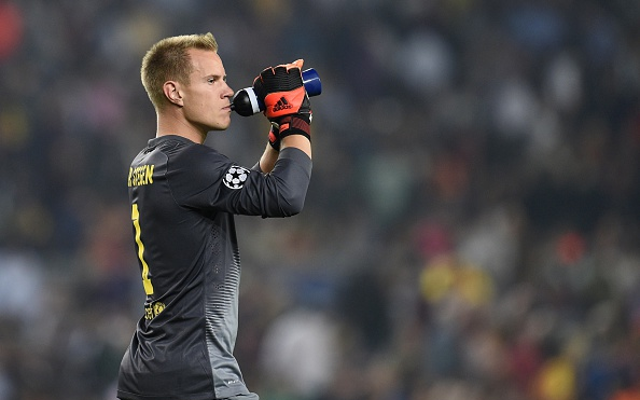 Ter Stegen was brought to Catalonia from Borussia Monchengladbach in 2014, but has only made four La Liga starts, with Luis Enrique preferring Claudio Bravo in the league. The 23-year-old has made 37 appearances in the Champions League and other cup competitions, but might be growing impatient with spending most weekends sitting on the bench. However, Barcelona’s reported vow to give him more regular action could persuade him to hold out in Spain, and leave us looking at other alternatives as Mignolet competition. Reds manager Jurgen Klopp is likely to explore the Bundesliga market that he knows so well, with FC Koln stopper Timo Horn another potential target, according to The Express.